"Grand Duchy" redirects here. For the American rock band, see Grand Duchy (band). Relatively rare until the abolition of the Holy Roman Empire in 1806, the term was often used in the official name of countries smaller than most continental kingdoms of modern Europe (e.g., Denmark, Spain, United Kingdom) yet larger than most of the sovereign duchies in the Holy Roman Empire, Italy or Scandinavia (e.g. Anhalt, Lorraine, Modena, Schleswig-Holstein). During the 19th century there were as many as 14 grand duchies in Europe at once (a few of which were first created as exclaves of the Napoleonic empire but later re-created, usually with different borders, under another dynasty). Some of these were sovereign and nominally independent (Baden, Hesse and by Rhine, Mecklenburg-Schwerin, Mecklenburg-Strelitz, Oldenburg, Saxe-Weimar and Tuscany), some sovereign but held in personal union with larger realms by a monarch whose grand-dukedom was borne as a subsidiary title (Finland, Luxembourg, Transylvania), some of which were client states of a more powerful realm (Cleves and Berg), and some whose territorial boundaries were nominal and the position purely titular (Frankfurt). In the 21st century, only Luxembourg remains a grand duchy. The only grand duchy still extant is Luxembourg. It regained its independence from Napoleonic France and became a sovereign grand duchy in 1815 by decision of the Congress of Vienna which dealt with the political aftermath of the Napoleonic Wars. In order to act as a sufficient counterbalance to France, the Congress decided to grant the dignity of grand duke of Luxembourg to the monarch of the newly created United Kingdom of the Netherlands which comprised present-day Netherlands and Belgium. Luxembourg remained in personal union with the crown of the Netherlands until 1890 when William III, King of the Netherlands and Grand Duke of Luxembourg, died without leaving a male heir. He was succeeded on the Dutch throne by his daughter Wilhelmina who could not become Grand Duchess of Luxembourg under the semi-Salic law established by the Congress of Vienna, which allocated the grand ducal throne to any branch of the House of Nassau in which there were still male dynasts once males died out in other branches. As a consequence, William III was succeeded as grand duke by a distant male cousin, Adolphe from the elder branch of Nassau-Weilburg (at present Luxembourg-Nassau). The current monarch is Henri, Grand Duke of Luxembourg since 2000. The contemporary independent republics of Finland and Lithuania have been grand duchies during certain eras of their history. The same is true for the core state of what would ultimately become the Russian Empire: the grand duchy of Muscovy. The term "grand duchy" is of relatively late invention, used at first in Western Europe in 1569 in the case of Tuscany, to denote either territories of a particularly mighty duke or territories of significant importance in political, economical or military matters without being of sufficient size or importance to be recognized internationally as a kingdom. The number of duchies had inflated towards the end of the Middle Ages to an extent that included middle-sized towns or relatively small fiefs, as compared to the national, pre-medieval tribal provinces. As a consequence, a new title was needed to make the difference between important and unimportant regional powers: the title grand duke was born. One of the first examples was the unofficial use of the title for the dukes of Burgundy who almost succeeded in forming a new kingdom in the historic area called Lotharingia, composed of modern-day eastern France (Burgundy, Franche-Comté, Alsatia, Lorraine, Champagne) as well as most of current Belgium, the Netherlands and Luxembourg (Benelux). The first monarchy ever officially titled a "grand duchy" was the Medici sovereignty over Tuscany under suzerainty of the Holy Roman Emperors, the first rulers receiving the title in 1569. Tuscany remained a grand duchy until 1860, when it was annexed by the Kingdom of Sardinia which succeeded in establishing a united Kingdom of Italy. 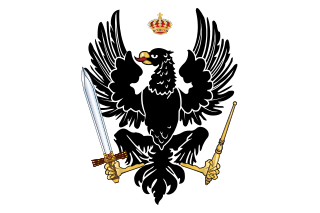 The Grand Duchy of Lithuania had an elective monarch since 1569 and came under the prolonged dominance of the Polish crown, until both monarchies were eradicated in 1795 by the combined intervention of Russia, Prussia and Austria. In the early nineteenth century, Napoléon I occasionally used the title "grand duchy" for several French satellite states given to his relatives or generals. Other allies abandoned the orbit of the Holy Roman Empire to join Napoleon's nominally independent Confederation of the Rhine. The elevation of these vassals to the title of grand duke was usually accompanied by an expansion of their realms with additional territory gathered at the expense of subdued powers such as Prussia. Though Napoleon was defeated at the Battle of Waterloo and most of his newly created satellite states abolished, the Congress of Vienna restored some of the previous sovereign duchies and principalities, while recognizing others as grand duchies. As a result, the 19th century saw the creation of a new group of grand duchies in central Europe, such as the grand duchies of Hesse, Baden and Oldenburg. Historically, in Europe a sovereign grand duke was one of the highest ranks among hereditary rulers after emperor and king, and was equal to that of prince-elector; ranking as royalty, i.e., European rulers and, in Germany, the reigning nobility (Hochadel). The correct form of address (also for the heir apparent and his wife) is Royal Highness (HRH). The title of grand duke borne under the Russian Empire by children and grandchildren of its rulers was a non-sovereign honorific, unrelated to any grand duchy, to which was attached the style of Imperial Highness (HIH). Ranking, internationally, no higher than the members of other reigning dynasties whose head held the title of emperor, the usage was an historical anomaly, persisting from the elevation of the Grand Duchy of Muscovy to the tsardom and, later, empire of All Russia, until its collapse in 1917. In several Balto-Slavic languages (such as Russian, Lithuanian, for example), the term often translated in English as "grand duke" is literally grand prince. In some western European languages (English, French, Spanish, Italian, Portuguese, etc. ), the term "grand prince" was rare or non-existent, used to refer to some rulers of Russia, Transylvania or Tuscany prior to the 19th century. In German and Scandinavian languages, both titles co-exist: Großherzog ("grand duke") and Großfürst ("grand prince"), and are used to distinguish, respectively, a ruling grand duke and a cadet of the Russian imperial family. Within Germany, use of the title expanded after 1815, but grand duke translates two different titles of German provenance. The German language has two distinct words for what is called a prince in English: one is used to refer to a member of the dynasty of a monarch (Prinz), and the other is normally borne by a modern sovereign hereditary ruler of the lowest rank (Fürst). 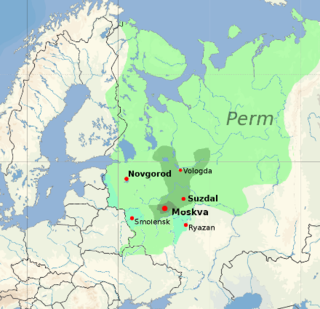 Emerging from the Middle Ages, the Grand Dukes of Lithuania and of historic Russian states, as well as other Eastern European princes and later Russian dynasts, were referred to by the title Великий Князь (Veliky Knyaz, German: Großfürst), whose literal English translation is "grand prince" rather than "grand duke". Although grand prince is found in historical references, since the reign of Catherine the Great, the Russian Veliky Knyaz has usually been translated into English as "grand duke". Since the 18th century it has been used to refer to cadets of the imperial House of Romanov who were children or patrilineal grandchildren of a Russian emperor. More remote descendants of emperors were titled "prince" (князь, knyaz). The title Magnus Dux or "grand duke" (Lithuanian: Didysis kunigaikštis) is said to have been used by the rulers of Lithuania, and after rulers from the Jagiellonian dynasty became Kings of Poland, it was later found among the titles used by the kings of the Polish–Lithuanian Commonwealth. The Polish kings of the Swedish House of Vasa also used this grand-princely title for their non-Polish territories. Junior members of the dynasties of historical grand duchies in Germany sometimes bore the style of Highness, sometimes that of Grand Ducal Highness, and continued to be accorded those styles post-monarchy by courtesy in such reference works as the Almanach de Gotha and Burke's Peerage. Between the Napoleonic Wars and World War I there were several grand duchies in Europe. Some were created in the Napoleonic era and, others were recognized by the Congress of Vienna and were founding members of the German Confederation. The term "grand duchy" is often, but incorrectly, used in reference to Warsaw between 1807 and 1813, which was in fact the Duchy of Warsaw. In Belgium, Grand-Duché (French for "grand duchy") is often used as a metonym to refer to the neighbouring country, the Grand Duchy of Luxembourg. This practice helps to avoid confusion with the adjacent Belgian Province of Luxembourg, i.e. the Walloon-speaking part of the portion of Luxembourg which was annexed by Belgium in 1839. Frederick II was the last sovereign Grand Duke of Baden, reigning from 1907 until the abolition of the German monarchies in 1918. The state of Baden originated from the area of the Grand Duchy. In 1951-1952, it became part of the new state of Baden-Württemberg. The Grand Duchy of Mecklenburg-Strelitz was a territory in Northern Germany, held by the younger line of the House of Mecklenburg residing in Neustrelitz. Like the neighbouring Grand Duchy of Mecklenburg-Schwerin, it was a sovereign member state of the German Confederation and became a federated state of the North German Confederation and finally of the German Empire upon the unification of 1871. After World War I and the German Revolution of 1918–19 it was succeeded by the Free State of Mecklenburg-Strelitz. The Grand Duchy of Hesse and by Rhine was a grand duchy in western Germany that existed from 1806 to the end of the German Empire in 1918. The grand duchy originally formed on the basis of the Landgraviate of Hesse-Darmstadt in 1806 as the Grand Duchy of Hesse. After the end of the Napoleonic Wars in 1815, it changed its name in 1816 to distinguish itself from the Electorate of Hesse, which had formed from neighboring Hesse-Kassel. Colloquially, the grand duchy continued to be known by its former name of Hesse-Darmstadt. It joined the German Empire in 1871 and became a republic after German defeat in World War I in 1918. This list contains all European emperors, kings and regent princes and their consorts as well as well-known crown princes since the Middle Ages, whereas the lists are starting with either the beginning of the monarchy or with a change of the dynasty. In addition, it contains the still-existing principalities of Monaco and Liechtenstein and the Grand-Duchy of Luxembourg. The term German Empire commonly refers to Germany, from its foundation as a unified nation-state on 18 January 1871, until the abdication of its last Kaiser, Wilhelm II, on November 9, 1918. Germans, when referring to the Reich in this period under the Kaisers, 1871 to 1918, typically use the term Kaiserreich.